Max Shapira, Aidan Woodward, Tom Peppiatt et al. 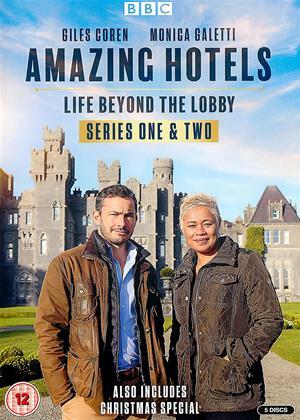 Writer and critic Giles Coren teams up again with international chef Monica Galetti to embark on a journey through the world's most remarkable hotels - offering behind-the-scenes insights, compelling characters and experiences of local life beyond the hotel lobby. With access to all areas in stunning locations, Giles and Monica work alongside hotel staff to see what it takes to run such unique places. Getting to know hotel visionaries, owners and workers, they discover the motivations, backstories and cultural contexts of the most amazing hotels on the planet.